Final Four MVP Ryan Arhcidiacano works out with the Philadelphia 76ers. PHILADELPHIA (WPVI) -- We know which team will be picking first. That's the Philadelphia 76ers. We still don't know if it will be LSU's Ben Simmons or Duke's Brandon Ingram. The NBA Draft is Thursday. The 76ers continue to work out players leading up to Thursday. 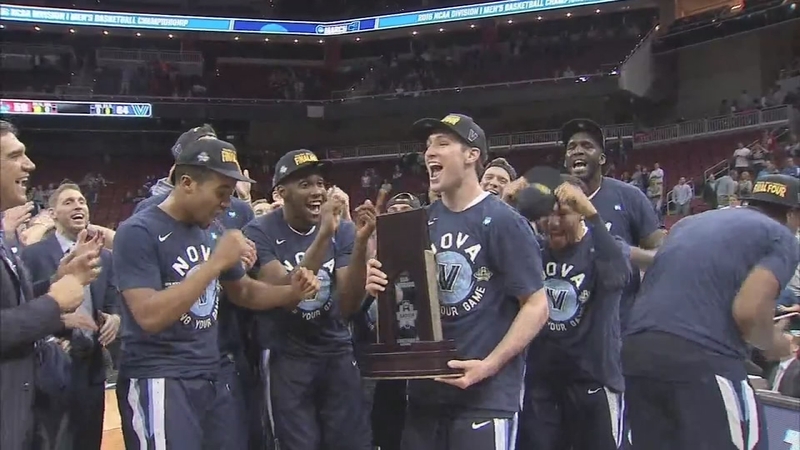 Monday was Final Four MVP Ryan Arcidiacono's turn. The former Villanova standout says this was his 11th workout with an NBA team. He will meet with the New Orleans Pelicans on Tuesday. It's been non-stop for Arch, but being busy is good. "It's just been crazy, honestly. There were no sad faces on campus up until graduation. I moved on to Maryland, had some workouts. Just flew around the country working out for all these NBA teams. It's been really crazy, but I'm glad it's settling down now and I can focus on the next chapter of my life," Arcidiacono said. Ryan Arcidiacono had one memorable 22nd birthday!